We looked into development conferences. Shared our top picks for marketing events you should consider attending this year. 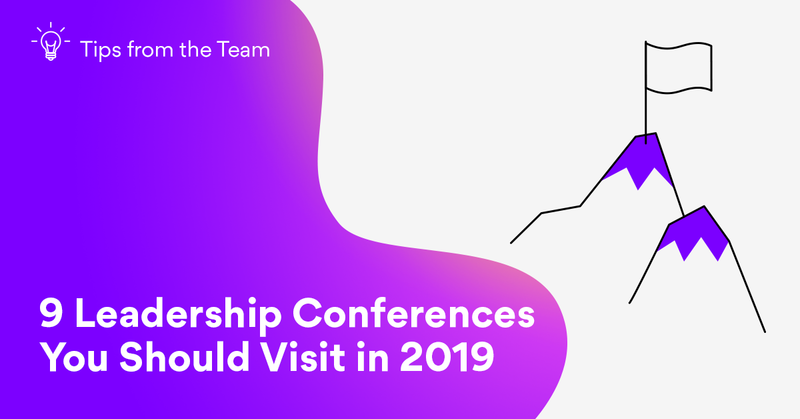 And this week, we’re looking into the best leadership forums and conferences around Europe for those who aspire to lead businesses into success. Inspiration, expertise & real-life tips from field experts – that’s what you’ll find in each of those conferences. The question is – are you ready to achieve success? We’re starting off the list with a bang. Presidents Summit is called like that for a good reason. Bill Clinton, Steve Wozniak, Richard Branson, Mitt Romney, Gary Vaynerchuk – these are just a few of the top keynote speakers you’re going to hear. Filled with inspiring talks, business strategy tips and practical insights, Presidents Summit definitely is the place to be. What more do we need to say? Sustainability has always been a huge topic in the business world. So, if you’re one of those leaders wondering how you can implement more sustainable thinking in your business environment, then Sustainability Leaders Congress is for you. There you’ll discuss advanced sustainability, CSR practices and how you can apply various innovative concepts in the workplace. Don’t miss your chance to learn from the best how to implement the most effective strategies. Aimed at the telecoms industry specifically, Digital Transformation World focuses on bringing the best business strategists and engineering minds together. With the goal to simplify and automate core business operations, the speakers share their insights and experience with the participants. Tailor-made one-to-one meetings, interactive activities together and many opportunities for networking – this three-day event is definitely an experience. With many companies empowering self-organizing teams, Agile is definitely one of the most popular leadership choices today. If you want to learn more about this methodology, how it can help your business and most importantly, how to properly implement Agile and maintain it, then this event is for you. With loads of Agile and Scrum experts, such as Peter Koning and Henrik Kniberg in their lineup, this event promises loads of practical knowledge for all level managers. Uniting people by their passion for business, this forum brings CEO, entrepreneurs, innovators, thinkers, artists and sportspeople from all around the world. Every year, the forum has a different theme and this year, the theme is “Exponential”. How can we accelerate transformation, growth and networking? This is the question you’re going to tackle at World Business Forum. Created for developers and managers, this one-day conference focuses on bringing the two usually separate teams, together. It’s important for managers and IT pros to learn to effectively work together, in order to create better products and services. Packed with great speakers and IT professionals, re:develop will definitely be something tech companies won’t want to miss. During this two-day forum, management thinking and ideas about strategy, innovation and leadership are being celebrated. Leading managers and the world’s best business professors come together to discuss various management tools and analyze case studies to come up with feasible solutions. For this year, Thinkers50 have an interesting topic – “Learning from Asia”. As the organizers say themselves, Asia is becoming more and more inspiring, and many business leaders can learn something from it. There’s no doubt that it’s a truly unique event with a different approach. In 9 years, this small event turned into one of the most respected conferences. Business leaders, innovators, entrepreneurs and others come from all over the world to listen to the impressive speakers. This year, Nordic Business Forum is proud to have such names as George Clooney, Randi Zuckerberg, Steve Wozniak in their speakers’ lineup. The theme for 2019 is “Growth”, so don’t miss your chance to get tips from the best! With this years’ theme being “Designing Success”, Simmons Leadership Conference focuses on adaptation and reinvention in the fast-paced world. Diverse and exceptional women share their stories about achieving success to inspire others to do the same. Besides that, there’ll be skill workshops, meetings with speakers and networking with 500+ executive women and men from around the world. Most importantly, all proceeds from this event go to scholarships for graduate programs at Simmons University!